The automobile insurance industry has been going through massive transformations in the past couple of years. With more emphasis on customized insurance plans and the increasing level of market competition, this is the best time to invest in a new vehicle and get the right insurance for it. Every big and small insurance company is investing heavily in their R&D department to come up with an insurance that has minimal premiums and maximum returns for their customers. Gone are the days when the entire automobile industry was ruled by just one or two main brands. Today, there might be a select few who control the maximum business in the insurance industry. But the industry newcomers bring their fresh outlook on the current market situation with them. And they do possess the talent to topple the industry and come on top with their ground-breaking automobile insurance schemes. Latest Inventions: What’s New For Consumers? The consistent efforts of the insurance industry to offer more flexible and useful automobile insurance schemes seems to be paying off. The current year is witnessing a lot of admirable offerings in terms of incredibly convenient automobile insurance policies. 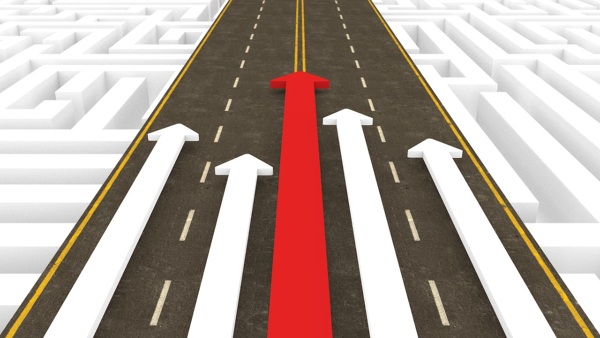 As of 2018, the automobile insurance industry has reached the $200 billion mark. And this means that now there is no room for those auto insurance organizations that are not serious about their revered clientele. With a new competent organization budding every other week, the market competition is getting more cut-throat than ever. It is not just about gaining new clients but also about retaining the old ones. If the customer is unhappy with their current insurance plans in any way or the customer interaction is not up to the standards, the dominos might start falling off into the hands of the competitors. Complicated processes and excessive use of the jargon is a technique that devious insurance companies followed until now. But today, they need to either step up to the task or be ready to suffer a major setback. The sneaky tricks that might have kept them afloat until now will no longer be useful. Today, the customers deserve and are readily getting easy to understand and highly beneficial auto insurance plans. So, now there is no reason for them to settle for the complicated insurance schemes with unnecessarily high premiums. Poor satisfaction and low engagement rates are the main two culprits that drive the potential customers away. And that is why it is important to improve the customer service sector too in a streamlined manner. These are the key areas that can make or break the business for a budding or even established insurance agency. Companies such as the Apple, Amazon, and Google are the de-facto standard for customer experience nowadays. Subconsciously, the consumers everywhere are expecting this level of impeccable service n every product they invest. And the market is learning fast to bridge the difference. Technology never stays still. It is constantly evolving even when we think we have reached the premium level. That is why the automobile insurance industry also needs to keep up with it to secure the target market of the future. And this preparation is required well ahead of the launch. 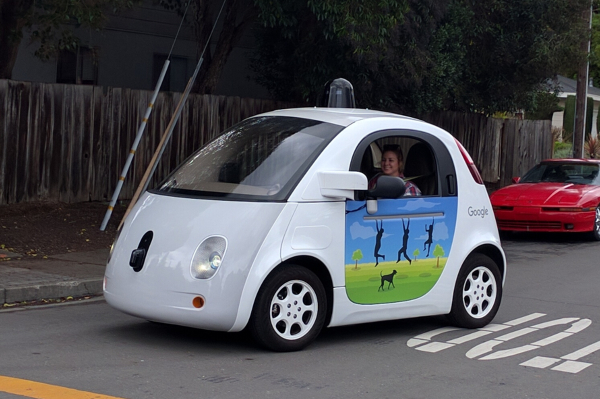 The autonomous or the driverless car is still a novelty. We see them here and there but not in the commercial market as of now. They are not the household name as of yet but they sure are the ones making enough buzz around the world. They will be a reality in the next two decades or even sooner. And both technology enthusiasts and the automobile insurance organizations are gearing up towards the same goal. The smartphone will keep the insurance carriers and the consumers in the same virtual ecosystem. This way all the relevant facts and figures can be updated in real-time easily. The entire insurance literature in practice till now will get reshuffled to accommodate the requirements of those new-generation cars. Those vehicles are going to be made similar where it’s required and quite advanced where the automobile industry has been lacking until now. Hence, the process to generate and maintain the agreeable level of monthly premiums will also take some serious thoughts. The risk level associated with the vehicle will drop since these autonomous cars are aimed at improving road safety. But then other factors will be accounted for while figuring out the details for each and every vehicle of this kind. A prototype of this format is already being employed. More than half of the drivers posses this insurance format as of today, The smartphone support is also being tested and a total of 85% vehicle owners are currently benefiting from it. The advancement in the automobile industry is mirrored by the corresponding developments in the automobile insurance domain. Each year brings its own set of challenges and trends. Most of these trends turn out to be a triumph over the obsolete judicial system and political upheavals that could have derailed the auto industry stability. Just because someone bought a vehicle does not mean that they are planning to use it for every commute. Also, people with multiple vehicles have different levels of usage for each one of them. So it only makes sense to get an insurance plan that calculates the premium on the basis of the total usage. 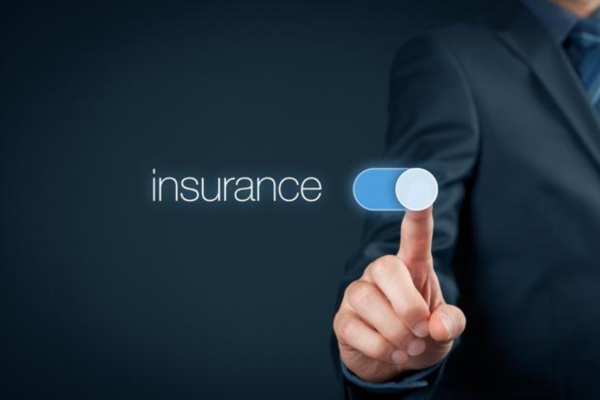 Such insurance schemes are known as the Usage Based Insurance (UBI). It also goes by the name of pay as you drive (PAYD) and pay how you drive (PHYD). In this case, the vehicle insurance turns out to be a mile-based insurance where a number of parameters are accounted to figure out the final costs. These parameters are the type of vehicle being used, the total time since it was launched in the market, the place it is driven, driving behavior and the total distance being covered to date. This insurance scheme does more justice in terms of the premium values being generated for each car owner. Mobile telematics is making it increasingly easy to record the driving data with utmost precision. This helps immensely with the UBI schemes where the patterns of vehicle use need to be recorded. It is better to get your vehicle on one of these insurance carriers right away to gain the maximum benefits. The lag in the adoption of the updated carrier formats will be detrimental to both vehicle owners and the insurance agencies. It will be difficult to make the old carriers adopt these latest changes once they fall behind. The new car owners are readily signing up for this UBI insurance format since it benefits them a lot more than the traditional counterpart. This latest innovative format uses the facility of the mobile channels to increase the customer loyalty and engagement. They offer a level of personalization that is only possible with innovative driving data usage. Now, the focus is on a lot more than just price targeting the high-end aspects of the vehicle. In the age of the smartphone, we cannot rely much on the driver distracted by the latest notification beep. That is why a number of distracted driving accidents have been reported recently with more than a few of them having fatal consequences. Over 3500 lives were lost in the year 2015 itself due to the smartphone use at the time of driving. The consumers, regulators, and insurers are now rising up to the occasion for making this gross negligence a thing of the past. Several laws were generated to fight this problem but the effects of the same lasted only for a while. The general awareness regarding these fatal situations has also not been able to produce the kind of impact that everyone was hoping for. Only smartphone-based activities and restraints in the form of a smartphone lock during driving can help with this situation. It has already proved itself to be 20% more useful than the other alternatives. The data collected from the smartphone and its subsequent processing will help the insurance firms fine the defaulters suitably. Today, there are a number of ways in which the driving data can be collected easily and processed further for a variety of applications. The insurance carriers are making good use of it to bring the road safety to the required standards. 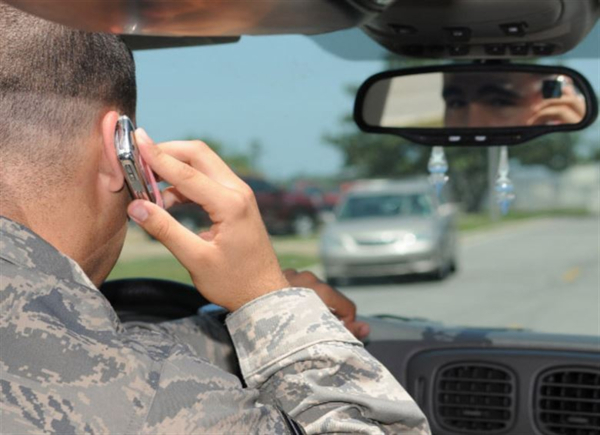 Till now the distracted driving data has been grossly under-reported. With the interference from the State, this problem can be solved to bring the necessary change that is needed in the driving pattern of the public. The insurance agencies also need to contribute by coming up with innovative plans for fining the culprits and rewarding the careful drivers. The entire plan of the insurance scheme can be tilted towards encouraging the drivers to drive more responsibly. This motivation in terms of reduced insurance premiums and other benefits can be used to make the roads safer for everyone. Since a century ago, not much has changed in the automobile insurance domain. The insurance template which was first finalized is still used in its somewhat original form until today. But the sudden popularization of the autonomous vehicles, in just the sensational technology news, for now, is bound to bring the wave of change. The ridesharing and the carsharing practices are also catching pace as the people start getting innovative to save the environment and some bucks with each commute. This growing trend is prompting the major insurance players to come up with more customized insurance plans. And these plans need to be adherent to this new mobile ecosystem. The new insurance plan is required to address the concerns revolving around the drivers, vehicles and the owners. This will allow the automobile insurance industry to keep up with the changing times in a more organized manner. Cost of vehicle repair, as well as replacement cost, will witness a sea change. The introduction of the new variety of automobiles will introduce a new customer category. The requirement of new insurance products perfectly fitted to address the latest demands of the customer and their futuristic vehicles. The severity and frequency of the auto thefts will noticeably decrease with the introduction of more sophisticated technology. All these changes have resulted from the change in the way the vehicle is being put to use nowadays. In the urban areas especially, the ridesharing and carsharing is a common phenomenon nowadays. For the insurers, this means more challenging vehicle-centric underwriting, a reduction in the number of vehicles per capita, and the rise of large fleet operators. It might seem daunting to reinvent the entire business model to fit the upcoming automobile requirements. But this is the only way to stay ahead in business in the long run. Slight tweaking to somehow accommodate the new range of vehicles might be simple now. But it can very easily be replicated by the rivals. And soon they will start capitalizing on the business that was generated by their slightly more innovative competitors. Today, what is essentially required is a thorough examination of the channels, platforms, products and the customer experience records. This process will help in figuring out the real challenges that the automobile industry is facing at present. And how it can be solved in a way that all the grievances and concerns of the modern day vehicle owner can be properly addressed. This might seem like a lot of work in the beginning. But with the right set of resources, capabilities and the group of people with enough ambition, it can be performed to perfection. And the ones which are able to lead the world into the next chapter of automobile insurance will be able to capitalize on this success for many more decades. The automobile insurance industry of the future is going to impact other industries too. The casualty and property industry will benefit from the changes being made in the auto insurance policies. The revamping of every sector connected with the automobile industry will take place one way or the other. The one thing which is absolutely clear is that the current auto insurance industry will move swiftly towards the new models of mobility. Every aspect of the insurance industry will be geared towards creating products, policies and even the customer experiences while keeping in mind these new models. The mobility ecosystem of today can be used as a reference to make projections related to the future scenario of premiums and the insurers. If the current situation persists at a steady rate then the following certain significant observations can be made. Thanks to the safety benefits of the autonomous vehicles, the premiums get slashed by almost 26 percent. This is a massive reduction and will prompt the public to opt for the much safer autonomous vehicles for their next upgrade. The one percent product liability insurance can also be added to this value. By the year 2030, the total premium value is estimated to be around $214 billion. This is a massive 33 percent decrease from the current value which can be attributed to the steady market state. By the year 2040, this decline is estimated to be almost around 44 percent. Going by the current development pace, the year 2030 will bring forward the majority of these projected changes. The total premium estimate going by the present state is approximately $320 billion. There will be reduced safety threats and frauds with the help of completely connected autonomous vehicles. This together with the driver-driven sharing economy structure reduces the premium costs by a total of 18 percent. But the commercial auto policies for these drivers are going to be on the expensive side. And that will bring up the premium margin by a total of 10 percent. In the next 25 years, the automobile insurance industry is going to undergo seismic changes. These changes predicted to work for the betterment of vehicle safety, increase asset utilization and change vehicle ownership models. Most of these names will sound familiar because they have that strong marketing game. Somehow they seem to be present everywhere or it at least seems so. All these organizations vary in their customer claims experience, interest rates, and overall features. Currently, GEICO is one of the most prominent auto insurance company in the US. It is known for its easy shopping experience and considerably low-interest rates. The national availability also makes it more desirable as compared to its counterparts. But people who don’t have a clean track record are likely to get unfavorable interest rates. This organization is known for offering people the most customized insurance plan that perfectly fits their requirements. They are also provided a local agent to solve all their queries. But the interest rates offered to the drivers are not that competitive. Their insurance policies are suitable for people with a certain requirement set. Even if we have had a previous accident, we are assured to get highly competitive rates in here. But when it comes to customer claim satisfaction experience and the coverage options, the overall outcome is not more than average. That is why it is better to look around a bit if it is more flexibility with the coverage options that we require. The customer experience right here is not too bad but not much to write home about either. It redeems itself by providing the best discount rates with its insurance policies. The average customer satisfaction ratings and the high-interest rates make it less favorable to the prospective clients. Currently, it is one of the most exclusive insurance agency to get insurance from. It offers speedy claims, best customer satisfaction experience, and highly competitive interest rates. It is undoubtedly one of the most prestigious and competent insurance industry in the US as of now. The interest rates offered by this organization varies on the basis of the geographical location. The delayed insurance claims and the customer satisfaction rating for this company is below average. Currently, it holds operations in over 17 countries and shows no sign of slowing down its expansion anytime soon. This insurance agency has a lot going on in its favor as of now. It is famous for its amazing customer experience ratings, amazing discounts and speedy claims. The only thing that might bother us a bit is the high interest rate that gets a bit hard to manage in the long run. The Nationwide organization is known for providing the same level of customer satisfaction that we are able to get with internationally renowned brands. Their customer satisfaction rating is off the charts and so is the coverage options, discounts and the claim recovery. Competitive interest rates and one of the lowest complaint ratings makes this organization a hit among its target audience. And that happens to be families with a clear track record. It does not offer a good bargain to those who have even a single accident in their records or other similar undesirable violation. The interest rates here are the most competitive in the market at present. Team them up with the amazing discounts that are being offered here and everyone ends up with an amazing deal. Recently it fetched $3 billion in the home, auto and umbrella insurance claims for its revered customers. This was all about the big names in the US auto insurance industry. Let us take a look at the emerging underdogs in the next section that have the potential of becoming the next big thing. It might be relatively new in the business but it has a string of offers and benefits that are going to solidify its name in the business. Currently, it boasts of almost 95 percent retention rate that is quite impressive going by the current levels of market competition. 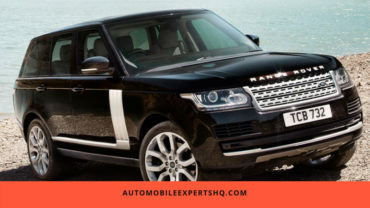 They also offer a flat 25 percent discount when more than one vehicle is being insured with them by the same client. They currently possess the A+ rating in terms of customer satisfaction and speedy claim recovery. They are known for offering a customized insurance scheme for each of their potential customers which gives their clients the best suitable plan according to their respective requirements. They offer a wide coverage with their auto insurance policies. Both personal and commercial auto can be insured with them. They started as a regional insurance agency only. But they have branched out in major national and international locations in the very short span of time. They offer one of the most competitive car insurance rates. Their customer satisfaction rate is pretty good and so is their coverage and offer discounts. But currently, their service is available to only the employees of select organizations. Also, for now, they offer their services only in the New Jersey and Pennsylvania region. The two main things that Auto Club Group is known for our affordable premium rates and cheap interest rates on car insurance. They are known for making their insurance schemes favorable to their customer demands. It is essentially an umbrella of well-networked car insurance organizations that together offer the best possible interest rates on the auto insurance schemes. It is known for its speedy and satisfactory claim settlement services among its loyal clientele. You can very easily lock your auto insurance rate with this organization. This way they will only vary when you change the location, a number of drivers or vehicles. You also get accidental forgiveness facility for your first accident after you have been its member for over three years. If your as much as 24 months old car gets totaled then it will be replaced by the organization with the current year model of the same brand in select few states. Your deductible gets reduced by 100 dollars per year for every subsequent year if a claim has not been filed by you. They have recently received the highest honor in customer satisfaction which is the J.D. Power and Associates award. They currently hold the A+ rating overall for their outstanding performance since their establishment. 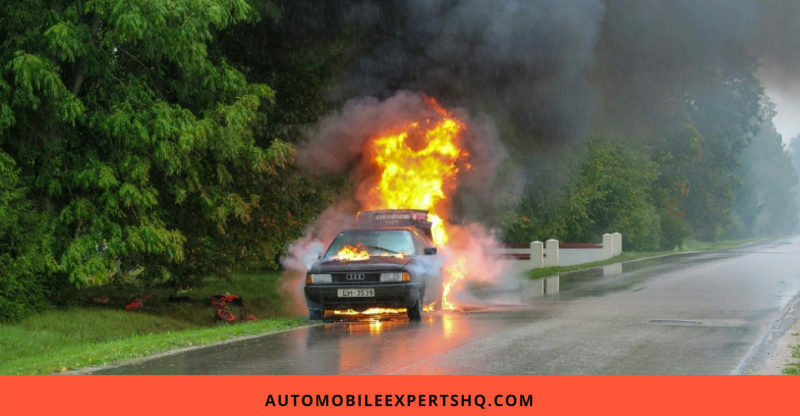 The insurance schemes offered by this company provides protection against the collision, comprehensive, underinsured/uninsured motorist property damage and bodily injury, personal injury protection, towing/labor, rental reimbursement, auto loan coverage, camper parts and equipment coverage and accidental death coverage. Automobile Insurance Industry is in the development phase as of now. These drastic changes have not been the required anytime in the past because the automobile industry never witnessed such rapid advancements. Everything is progressing at a supersonic speed at present. And the organizations that plan on surviving this change need to adapt quickly. This brings us to the end of this detailed account. Did you find it useful in any manner? If yes then do share it with your family and friends and pass on this valuable information. Tell us what you want to read about next in the comment section below.